Be sure to join our newsletter to stay up to date on all our promotions, freebies and events. Renew You for the Holidays! Are you ready to let go of 2017 and start the New Year with a whole new outlook? Do you find yourself over-programmed with all the holiday activities and needing some YOU time? Why not make this Holiday Season one where you’re taking stock in yourself and your year, instead of ONLY filling everyone else's stockings? Let our 10+ healers, coaches and transformational specialists guide you to reflect upon and honor your past year, or let it go, and start the year fresh and with new inspiration. You can trust that all of our Soulful Practitioners in the Our Sight Your Light community have been scrutinized and are the best in the business. We have experienced each one of their services, and found them to be effective and enjoyable. Book now for $159 or 2 for $300! Save up to 30% on Specialty Services created with you in mind. Reflective Resonance™ is a powerful distance channeled healing modality that can help free you from whatever is holding you back. 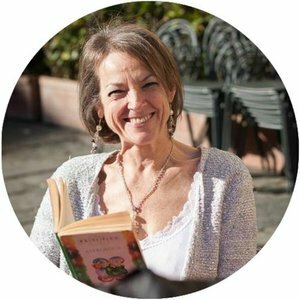 Laurie-Elle connects to your energy and the messages waiting for you from your Spirit Team and Highest Self. You will also experience a profound energetic healing. Your reading includes a full audio report, accompanied by a supplemental written report, which includes a plan that will help you move forward after your healing session and onward into 2018. Kim connects to you on a soul level, reading your energy, looking for blockages & imbalances to identify which chakras might need activating. She will create a custom mantra for you, using it while she strings and knots every bead on your beautiful custom mala, infused with love, “magic” and the powerful intention of your mantra. Kim then Charges it with Reiki and sends it to you, along with your mantra and any notes she collects about your energy. Your natal birth chart is your astrological DNA. It represents your Soul’s purpose in this lifetime & can help you understand the underlying behavioral patterns you may be encountering in your life. Martha gives a detailed overview of your life up to now, as it is “written in the Stars” & can then offer you clarity about the areas of your life you would like to focus on improving in the coming months. Start feeling lighter and brighter, smiling more, doubting yourself less, and begin 2018 with a NEW vision for a NEW YOU. Lois combines her most powerful tools for this special 90 min. session: Thetahealing®, Angels of Emotions Auric Healing, and Divination with powerful Oracle Cards, all delivered with a mixture of Intuitive Guidance, Life Experience, and loving, practical advice. Experience deep, powerful healing with Khristee's 105 minute session, blending Usui Reiki and Russian Shamanism. This session is a perfect deep dive into your spiritual Self, helping you to heal big issues, release pain, and find balance. Become inspired with Khristee's healing, channeled intuitive guidance and action steps to help you return to a life of joy, freedom and fun! You will also receive a recording of your intuitive reading. Are you making a conscious effort in 2018 to streamline your life and reduce the debilitating effects of stress? If so, this 90 min session with Leanne, a certified HeartMath Coach, will teach and support you in methods to control how you react to stress at any moment of any day. Once you learn these tools, they will stay with you forever, allowing you to reduce stress and live a more carefree joyful life! Intuitive Reiki is a powerful tool for healing. Working with the energetic healing system of Sensei Usui, as well as her Guides, Natasha brings her own medicine bag of tools to the session. As a Felt-Sense Intuitive & Intentional Artisan, Natasha will consult both her Guides and intuitive direction to design a channelled Conscious Adornment bracelet for you. This creation will help you with integrating the information and healing from your session into your current experience, leaving you feeling empowered, supported, and aligned. With this package you will receive a 60 minute distance Intuitive Reiki healing session, which includes a detailed audio report. Following your session, Natasha will create a Conscious Adornment bracelet, including a personally written letter for the piece and its owner, as well as tips and suggestions for how to best care for your crystal adornment. Uncover your purposeful path & create a new beginning for yourself in 2018. 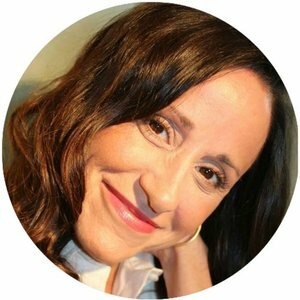 Debra's highly personalized, transformational, life-changing session is for anyone that knows there is much more to their life and/or business than they're currently experiencing. If you are willing to set aside all excuses and step into your purpose-filled path, to answer your higher calling, the this is the session for you. Are ready to take control of your health and life path? Let Bianca perform a thorough health assessment & formulate a plan with you, to help you reach your health and wellness goals. This plan will be implemented with the support of dietary changes, supplements, herbs, tinctures, & flower essence. Your consult with Bianca includes a detailed report, 2 weeks add'l support & a personalized flower essence product. Become more balanced, energized & focused with no side effects, all while receiving focused loving care from Bianca. When you align your energetic body, you feel light, radiate confidence & strengthen your intuition. This 105 min session begins with a guided white light meditation to clear each of the seven energy centers, followed by an Angel Oracle card reading. 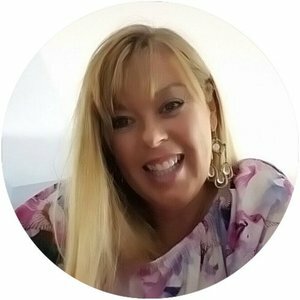 As a Clairvoyant & Medium, Heather communicates with Spirit Energy, listens & relays what you're meant to hear at this time. Let Heather align with the messages that your Highest Self is wanting you to hear, and she will help you with the specific information you need to implement a tangible plan for changes in 2018. A sixty minute Holistic Soul Coaching session with Livshabad will leave you with a deeper perspective of your role along this journey. Using intuition and numerology as her tools, your soul's keys to unlocking the life you were born to live will be revealed leaving you more purposeful and focused. Filled with tools and actionable steps, your customized session will help to kick start your life on the path to greater love and soul purpose. A session with Our Sight Your Light is the perfect HOLIDAY GIFT for you and your friends & family! Let us help you Ring in the NEW YEAR with more joy, more peace and more light. If you need more information about a Holiday Service, please email info@oursightyourlight.com and we would be happy to clarify. Purchase your RENEW YOU Holiday Session NOW! Enter which session or sessions you would like. Enter your email address to receive your instructions about scheduling your session and options to get a printable "gift certificate" if you are purchasing it as a gift. Click BUY NOW and either check out with Paypal or Pay with Debit or Credit card. Again, you will receive an email with instructions on how to schedule your session after the New Year! THANK YOU!